Being a new parent comes with so many emotions. Happiness, joy, and even fear. Being the parent of a preemie brings a whole new level to those feelings. You have anger and sadness mixed in with the other emotions that most parents wouldn't feel. Having had a preemie myself, I know all too well the stress and anxiety that comes with the territory. Mr. J was in the NICU at CHEO for the first 10 days of his life. Being separated from your child (he was transferred from our local hospital where I gave birth, to CHEO at 20 hours old) is devastating. I had complications from delivery, so couldn’t even leave and be with him. When pregnant, you imagine the joy of leaving the hospital and arriving home with your newborn. Not having them taken away from you. 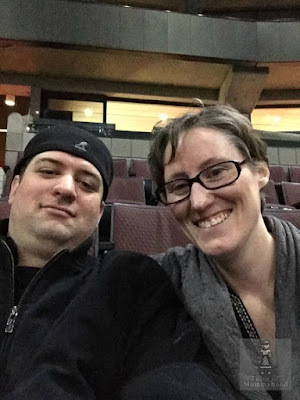 Even though you KNOW it is for the best and what they need, it has an incredibly negative impact on your life, and your introduction to parenthood. Seeing all the wires and tubes coming from your newborn is shocking. I had seen my niece and nephew (also preemies) when they were in the NICU, but it didn’t prepare me for the sight of my own child like that. Leaving the hospital to go home each night was heartbreaking. 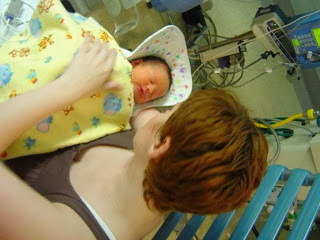 It’s been over 10 years since our NICU days, but I still remember what it was like. I am thankful that we had access to such a wonderful facility. Mr. J was big for a preemie (6lbs 3oz) but most are not such a good size. In 2002, Pampers introduced a preemie diaper for hospitals to use on their #LittlestFighters, but sometimes, even those are too big. In 2016 Pampers partnered with NICU nurses to design and introduce the Pampers Preemie Swaddlers Size P3 diapers for babies as little as 1 lb. The materials used to create this diaper are safe, gentle and fragrance free. The flat diaper has all around absorbency to provide equal protection in the back and front, allowing diapering in any position. There is also a wetness shield to prevent run-off from the flat diaper. It is estimated that more than 15 million babies are born prematurely around the globe. That is a lot of babies. We are so fortunate that we had amazing care for Mr. J when he was born. He is now a relatively healthy 10 year old boy. November is Prematurity Awareness Month, and this year Pampers is partnering up with Graham’s Foundation to encourage Canadians to share their own #LittlestFighters stories on Instagram, Facebook or Twitter using the hashtag. For each share, Pampers will donate $5 (up to $10,000!) to the foundation. I'm so glad that Pampers created a diaper small enough for preemies. I've seen their commercial and loved it. The diaper is just so tiny. Made me realized just how small and fragile preemies are. Fabulous that there are such tiny diapers that actually fit the tiny preemies. It's bad enough when your child is in hospital as a toddler but as a new born that must be extra tough. And so many people have a premie, more than I realized. Bless your little one. 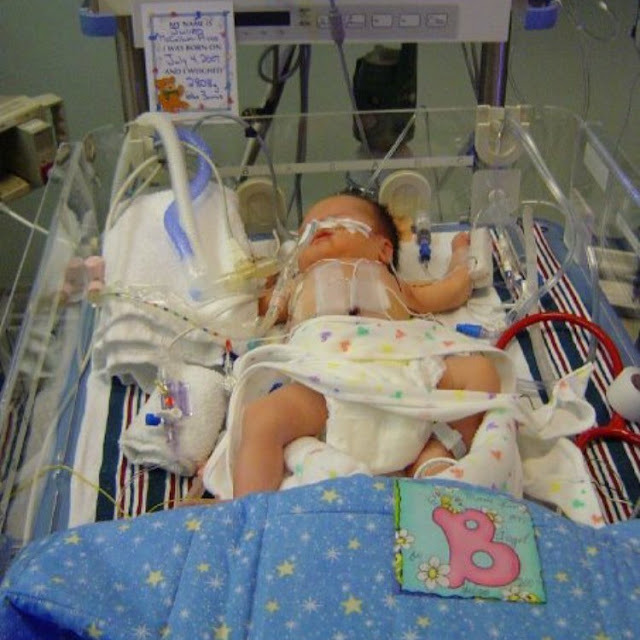 My baby girl was born premature as well, and Yes, little diapers were a blessing! Not even cloth came that small. I was in NICU with my first for 3 days so i cannot even imagine being there for almost two weeks. we were a wreck but it was because of her weight it was because she came out with a fever because I had one during delivery. Being in the NICU and being around other babies that were in there, so small and tiny, I am so grateful that Pampers has finally come out with a diaper that it suited for them! So glad that your daughter was only in for a few days! This is so fabulous that companies step up to help out families during these difficult times. I have a number of friends who have had preemies. So glad to hear your grand daughter is doing well! This just makes sense. Obviously they are needed for so many babies. Glad to see that pampers has done this for preemies. Good for them for making a product that works on these tiny babies! One less thing to deal with at such an emotional and difficult time! My son was born 6 weeks early, just celebrated his 25th birthday! So happy to see products made for preemies! Having a premie who must stay in the NICU would be so scary. It's so wonderful that there are amazing doctors and nurses who are there to help... but still... I can't imagine. I love that now there are even tiny diapers for these itty bitty babies. wow! amazing thanks for sharing!